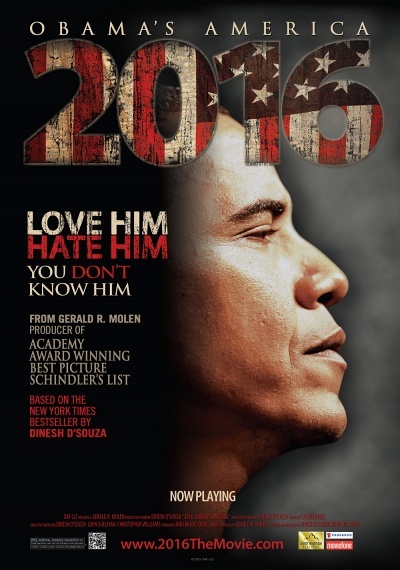 2016: Obama's America :: Movie Information :: RabbitTV GO! Just in time for this year's Presidential election, don't miss the must-see documentary that has the entire country talking. Best- selling author Dinesh D'Souza takes viewers on a journey into Barack Obama's past and present and suggests how his experiences will affect our country's future. D'Souza uncovers how "Hope and Change" became radically misconstrued in 2008 election, how Obama's decisions in office point to a greater hidden agenda, and how America's place in global affairs hang in the balance. A captivating story that crosses four continents and reveals shocking secrets, D'Souza proves that, love him or hate him, you don't know the real Barack Obama.